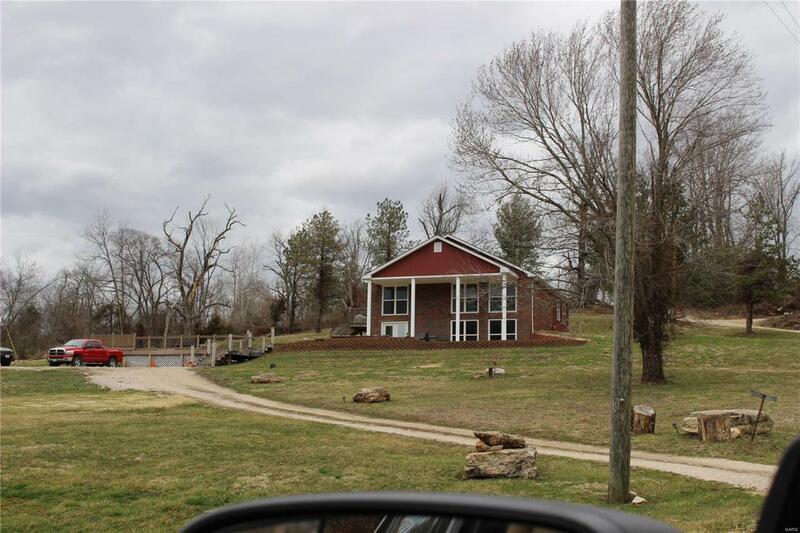 This 5 year Raised ranch home has 3 large bedrooms and 2.5 baths and is on 3.8 acres of land. The home has an open floor plan with living room/dining room combo with an abundance of large picture windows. On the main level is your Living room, custom built kitchen, main floor laundry and a half bath. The kitchen is custom built with oak cabinetry has egress lighting with a nice size breakfast bar. All the stainless steel appliances to stay including stainless steel refrigerator in kitchen. The upper level has the master bedroom suite with a full bath and separate his and her walk in closets. The 2nd and third bedrooms are very nice sized and have walk in closets as well. You can walk out to the deck from the second floor as well. There is also a nice size utility- workshop/hobby shed on the property. Come sit on your large over sized deck and over look your land, sunrises and sunsets. The over sized deck is great for entertaining large families! The parking is excessive! Listing provided courtesy of 3D Real Estate, Llc. Listing information © 2019 Mid America Regional Information Systems, Inc.